Emilie De Angelo’s greatest passion is her son…..her survival was strongly driven by the fact that she was not leaving him alone; along with her deep faith. Surviving Stage 3 Breast Cancer was only the start of the Journey……finding the way to remain Healthy became the Ultimate Goal. Sharing became her gift. 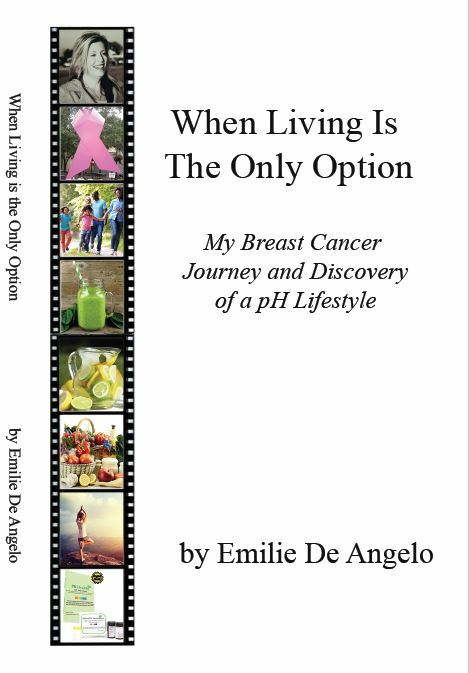 “When Living is The Only Option” is the story of Emilie’s BC Survivor journey and it comes with very deep dark moments she experienced and shares then opens up into witty inspiring realizations and learning as she continues her walk to the discover of the pH Healthy Lifestyle along with the designing of the Health Tracking Kit……….her deep passion will put the Health Tracking Kit with her story into every person’s hand who wants to live Happy with a Body that Repeals Disease! Hosted by Emilie is A Show that pokes into every aspect of one’s life imaginable to get them thinking to take action and brings thought provoking ideas as well as solutions. 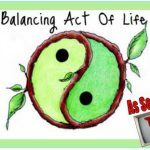 We give many resources with education to balance areas of life that we don’t necessarily want or know how to face until they get out of control which results in chaos, stress, addiction, financial hardship or worse deadly diseases. 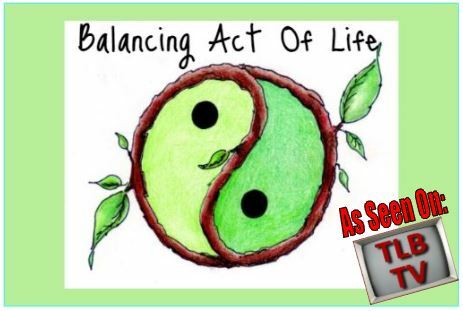 Experts in the field talk about many subjects and go out on location to have fun and talk to other experts so we can all help each other in this Balancing Act of Life. Emilie has been delighted to join efforts with Dr. Wayne Pickering who is Globally known for his terrific food combining and nutrition expertise! They together will be speaking and getting people to learn about Low Acid Living instead of a Fad Diet that will fail them miserably and cause additional issues. Learning to repeal disease instead of attracting them is key and they are a great duo to teach it! From Emilie: I’m a girl from Philly, our household was Irish/Italian; we ate meats, pastas, breads, veggies and desserts. My great grandmother lived until 1 week before her 100th birthday day and her daughter my grandmother lived until her mid/late 80s. Always looked good and maintained what I believed to be as I was taught; a relatively healthy diet. Exercising moderately throughout my 20s and 30s. Give birth to my almost 10lb beautiful son with no complications. Always very business motivated and relatively lived a demanding medium stressed life mostly self inflicted. In my early 40s I had started to feel here and there “not myself”. I can say there were many days I felt good and then several periods of 1-2 days that I felt extremely worn down. Noticed light itching of my breast, nothing to alarm me, none of it was continuous or worsening. One day I did a self breast exam as I did from time to time in the shower and felt a lump. I checked out several well know internet MD sites and read that if the lump moves around more than likely its an unbenign cyst, so I was in no real hurry to a doctor. (I question myself telling others this-however I will stay in faith) It was early morning one day and I was having a dream or perhaps coming out of one, tossing and turning in the midst of wakening up when I had a very strong image of my father who passed away less than a year prior, looking over me. He didn’t say anything; his look was of deep concern and I knew inside what was concerning him. I knew then I needed to take faster action in getting my health insurance application finished and submitted. I went and had my mammogram and the doctor who read the results ordered for me to have an ultra sound right then. They took me down in a wheel chair to the ultrasound room; it was dark, no windows and really quiet. The technician did the ultrasound and said she would be back shortly. The doctor then came in and said he wanted to take a look also; as I watched him I could see the seriousness on his face and he said to me you are going to need to get a biopsy as soon as possible I am finding a large mass. I said I know I had felt it but it moves around and I read that was a good sign wasn’t it. He told me that wasn’t the area he was speaking of, it was well above it and I had never felt that at all. Within days I had the biopsy with an older doctor who was very sweet and pretty certain as was my gynecologist that it was probably nothing and we would know more in a week or so. The call back to see him came within a couple days. When I walked in to see him he looked sad; he then proceeded to tell me the heart breaking news. Yes I had Cancer and it was Stage 3. My only question was Am I going to Die? He said No you can fight this and you will lose your breast and hair and it will be a process. I gave him a hug and said I will be okay, he seemed like he needed that from me, it seemed so sad for him too…..almost as if my dad was delivering the news through this doctor. My mother took over as I absorbed the blackness I was in and reached out to family to find who she was more comfortable with as a surgeon and one with family recommendations. I had a wonderful surgeon who explained the process I would go through as the other Doctor has said. 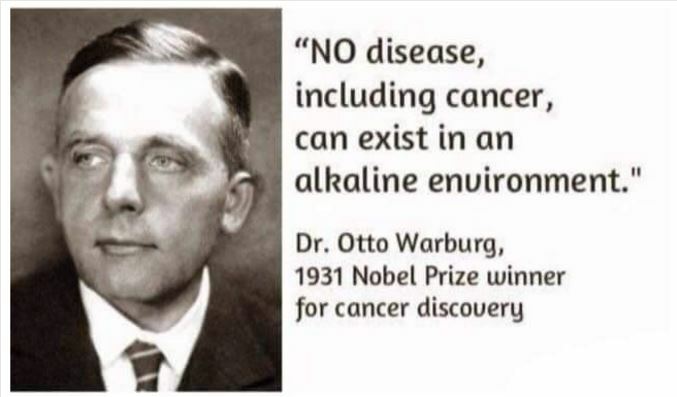 She also shared that I most likely got this Now more commonly known Cancer from the Environment as I did not test positive for it genetically nor did my mother. 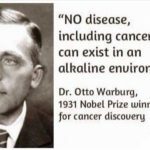 As I went through the painstaking surgeries, chemotherapy and radiation I vaulted myself into years of research and my Certification from the Institute of Integrative Nutrition because Dying was Not An Option & I did not want this coming back. Because we all know the Law of Insanity defined by Albert Einstein to be “Insanity is doing the same thing over and over and expecting different results” I was not able to return to the lifestyle I lived prior. 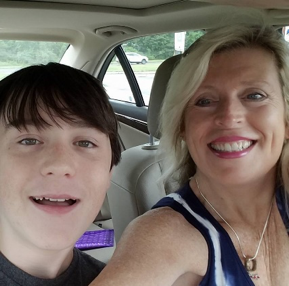 I had to find out how to live differently; I loved my son too much not too. Changing your lifestyle is extremely overwhelming & I was angry, not to mention fearful of eating most things or using personal & household items deemed toxic from my research. During my research I soon realized my only way through this was in Baby Steps. I first tackled breakfast, then lunch, then dinner and desserts/snacks. I tested and tried to find several of each that I would enjoy and be able to have alternatives of. I tried several different pH litmus papers but they all seemed to get compromised quickly because of their packaging. I used what I could as I went along to keep track of my pH levels. Every 6 months I had to go and keep my other breast monitored with mammograms as they had spotted and tagged something that they wanted to keep an eye on. I had gone to one imaging place for a year and spoke with the doctor reading the results after several visits and he had said he was happy to report that it appeared the areas of concern were shrinking! I immediately told him all that I was doing and he said Great….although he was a man of medicine and wanted me to do as the Doctors told any help was good. Another year later, this same doctor came in to deliver me even better news that the areas of concern were now gone! He didn’t remember me as he was reading the films however when he walked in and saw me he chuckled…………and just said; keep on keeping on………..so I did! I truly believe taking control of your health with your doctor’s regular visits is essential and had I had a tool as I do now I may have never got plagued with Cancer or would have caught it much earlier. As I learned my new lifestyle and implemented all that I found into each area of my life I was able to manage and maintain my pH levels and I still do after 7 years while visiting with my Doctor annually. It occurred to me through this journey that other adults and children should not have to go through any of this; it has become my mission to tell my story and show people how to care for themselves through my journey and all that I learned and designed. Not to be afraid and to be accountable of keeping themselves in Wellness as it was meant to be. St. Jude’s is a wonderful place to help sick children however I would love to close it down and make it a museum to remind the generations to follow of what not to do. Instead to Live in Wellness Always and Forever as Our Creator Meant for us to Live.